Entire TRD Pro lineup receives Fox 2.5-inch internal bypass shocks for 2019. Since 2014, to apply a Super Off Road aura to its Tacoma, Tundra, and 4Runner models. Beefed-up suspensions and rugged styling elements to match are the name of the game here, but TRD Pro also has another mission: to breathe new life into the industry's oldest truck and SUV line. At the Chicago Auto Show, Toyota is doubling down on its TRD Pro efforts with further suspension enhancements to better pound sand—but what's up with that snorkel? 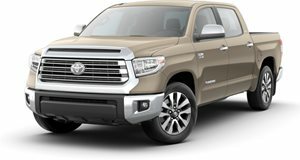 Attached to the Tacoma's passenger side A-pillar in the shots shown here is what Toyota is calling the TRD Desert Air Intake. Simply put, the relocated engine nostril allows the Tacoma to move its air intake away from the traditional location inside the wheel well to above the roof where it can gobble up fresh oxygen. As the name suggests, the snorkel is the equivalent of the straw you put in your mouth when someone buries you in the sand at the beach. While it's a functional piece likely to save many from dirty air filters and choked-out engines, those averse to the ungainly respiratory appendage will be happy to learn it's an optional extra. Regardless of which TRD Pro model you choose, all 2019 models are equipped with new Fox 2.5-inch internal bypass shocks to supplement the trucks' raised suspensions and extra wheel articulation. 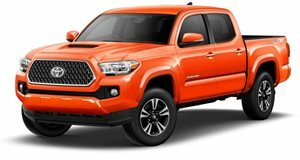 The 2019 Tacoma TRD Pro is now fitted with more under armor than a gym-obsessed crossfitter, in addition to a cat-back TRD exhaust system, 16-inch TRD Pro wheels in an offset that provides a 1-inch wider track, and more TRD badges than a Toyota showroom. Meanwhile, the 2019 Tundra TRD Pro gets more rear wheel travel, Rigid Industries LED fog lights, lighter 18-inch BBS wheels, and a new lease on life. 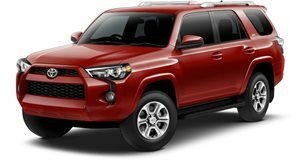 Rounding out the trio, the 2019 Toyota 4Runner TRD Pro—which hasn't been significantly reengineered since Barack Obama's first year in the White House—gets a new roof rack, red TRD lettering on its 1/4-inch thick front skid plate, and 17-inch matte-black alloy wheels with an offset that gives it a 1-inch wider track. While the upgrades won't challenge the Ford Raptor for desert supremacy or give you the capability of running the Baja 1000, they're more than ample for tackling your local off-road park with aplomb. The enhanced TRD Pro lineup will be available beginning this fall in three colors: Super White, Midnight Black Metallic, and an exclusive Voodoo Blue.